We are going to give you a basic pussyhat knitted pattern, which can be knitted in the round or with side seems. Download the pussyhat knitting kit as a PDF here. We will provide instructions for various thicknesses of yarn for various sizes of heads and describe a few variations you might consider including the pussyhat Tea Cosy, the animal (stuffed or alive) or doll pussyhat and various stitches or adornments or colour themes that might signal your particular variety of protest. The only limit of course, is your imagination. These instructions won’t teach you how to knit but some good links to online instructions are included below. For those of you who are comfortable with the maths, I will also include a simple generic formula for working out your hat pattern for your yarn and your target head. This pattern is a variation on the patterns already published on a number of websites and pioneered last November by The Pussyhat Project (www.pussyhatproject.com). There are abundant patterns for knitted, crocheted and sewn pussyhats out there in the online yarniverse and there are links to some of them below. **For an adult hat (55cm head circumference). A set of 6mm circular needles with a 40 or 60cm cable for knitting in the round. Cast on 88 stitches and join into a ring. Continue knitting all stitches for 10cm. Cast off using a standard or three-needle cast off. Cast on one stitch more than you were asked to by the pattern. Pass the last stitch you cast on onto the left hand needle and knit the first two stitches on the left hand needle together. This makes the join more secure. fold hat over with right sides together, and sew up the sides. If you want to make a tea cosy, leave gaps for your spout and handle. Design a pattern for your yarn and head size using the yarn and stitches table. Cast on ____ stitches (ST on the table) and join into a ring. Cast on ____ stitches (ST/2 on the table). **If you want to make a tea cosy, leave gaps for your spout and handle. **For example, if you are knitting for a child with a 50cm head circumference using 10ply yarn, you would cast on 90 stitches to knit in the round or 45 stitches to knit the side seam hat. You can make a tea cosy with this pattern – Knit in another colour or lots of colours – rainbow for LGBTI hats, purple, green and white for the Suffragist movement etc. Decorate your hat – with embroidery, felt ears, a face. Measure the largest circumference of your tea cosy and its height. Cast on according to the formula on the table and as described in ‘generic pussyhat pattern’, ie. Number of stitches to cast on = circumference (cm) x number of stitches/cm (SPC) for your chosen yarn and needles. Knit your tea cosy as per the instructions for the Side Seam Hat (see above). When sewing up the sides, leave a gap for spout and handle. For this yarn it tells you that when the ‘average knitter’ knits something in stocking stitch (one row plain and one row purl) using the needle size and yarn specified on the label (in this case, 6mm needles and 12ply Morris and Sons, Estate yarn), there will be 16 stitches and 22 rows for every 10cm of knitting. If the head circumference is, for instance, 55cm, which will fit the average adult, then the number of stitches need to get around the head comfortably will be 55 x 1.6 = 88st. Rob Walker (January 25, 2017) The New Yorker. “The D.I.Y. Revolutionaries of the Pusshat Project”. (Full copy of the article is available on the Shared Threads website. 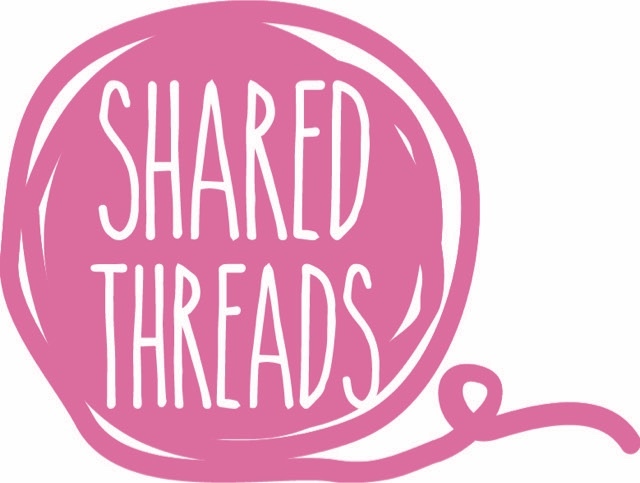 sharedthreads.com.au).